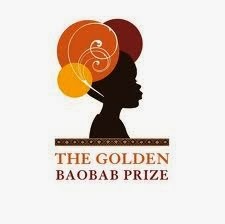 Happy to announce that the 2013 Golden Baobab Shortlist has been ... announced. The judges - Bernardine Evaristo, Esi-Sutherland-Addy, Nonikiwe Mashologu, Zetta Elliott, Annette Hansen and Osayimwense Osa - must have had a tough time turning the 25-strong longlist to the 8 shortlisted stories. The shortlisted authors come from five different countries (Kenya, Nigeria, South Africa, Tanzania and Zimbabwe) and include thirteen year old Kanengo Rebecca Diallo from Tanzania story Pieces of Africa for the Rising Writers Prize. The winners will be announced November 13th. Congratulations to all shortlisted authors. 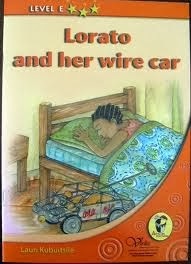 Past Picture Book (for ages 8-11) Prize winners include Lauri Kubuitsile in 2009 with Lorato and her Wire Car and Edyth Bulbring in 2011 with Sour Worms, while in the Early Chapter Book category (for ages 12-15) Ivor Hartmann won in 2009 with his story Mr Goop. All past winners can be found here. Here's the press release via Golden Baobab. Also check out this article by Deborah Ahenkora, co-founder and Executive Director of Golden Baobab on Huffington Post asking 'Where Are the Stories for African Children? '.